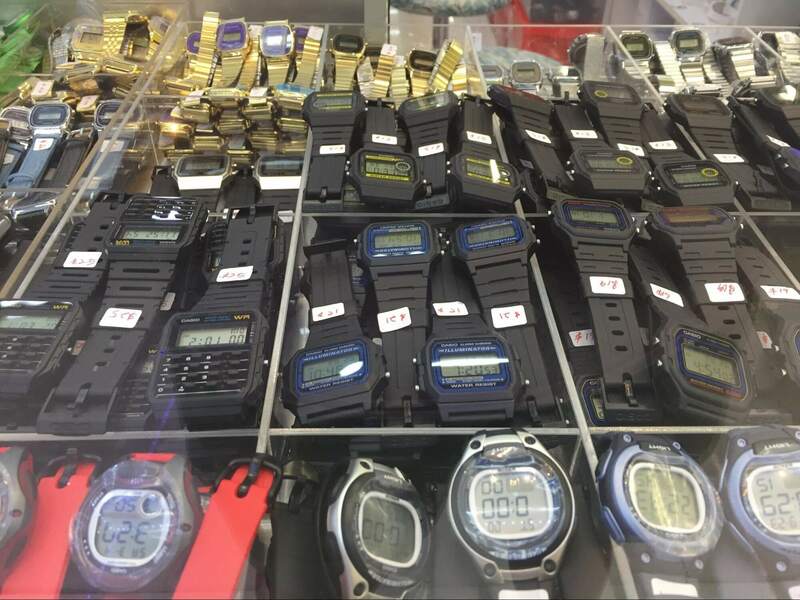 Everyone knows about Mustafa Centre, that vast emporium selling every object known to mankind. But beyond the piles of Alphonso mangoes, cheap electronics and gold plated jewellery, just what is it that makes Mustafa so appealing to the hordes of locals and tourists who throng its improbable aisles day in, day out? Despite Mustafa’s reputation as a budget superstore, I don’t think people return because of the prices alone. We’ve conclusively shown that groceries necessarily cheaper at Mustafa. 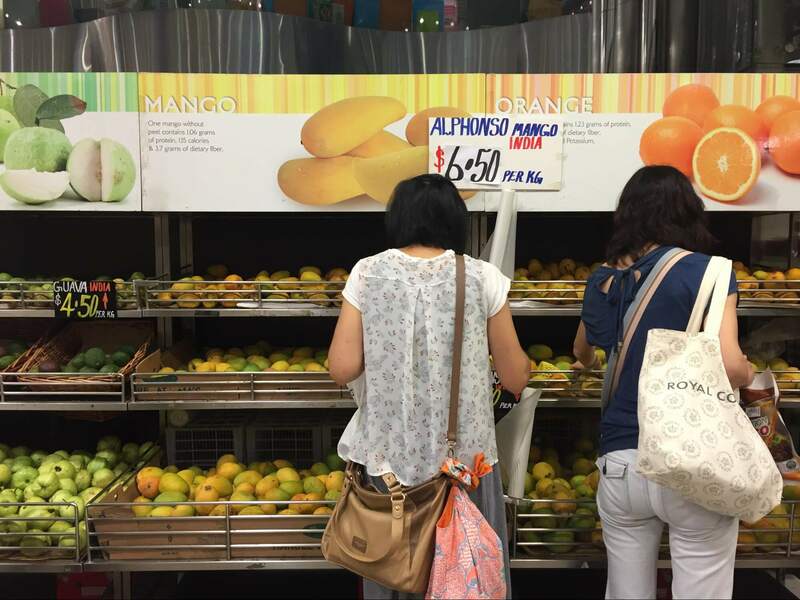 Honestly, you can’t beat places like ValuDollar and Ang Mo Supermarket for groceries, nor scouting online for better deals on furniture and electronics. So what makes it special? 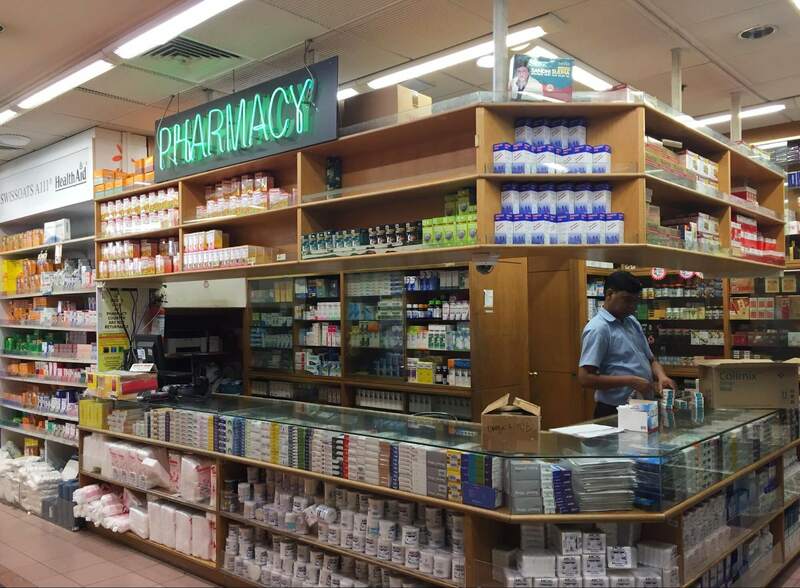 Mustafa is more than just a place. It’s a repository of lost things from the past. It’s a maze littered with Easter eggs. It’s an antidote to the disease that is copy-pasted chain shopping malls. It’s a portal where you can escape to simpler times. It’s like Disneyland or that game in Ready Player One. 1. Did you even know Mustafa had a vinyl section? I knew Mustafa was cool… but I didn’t think it was this cool. 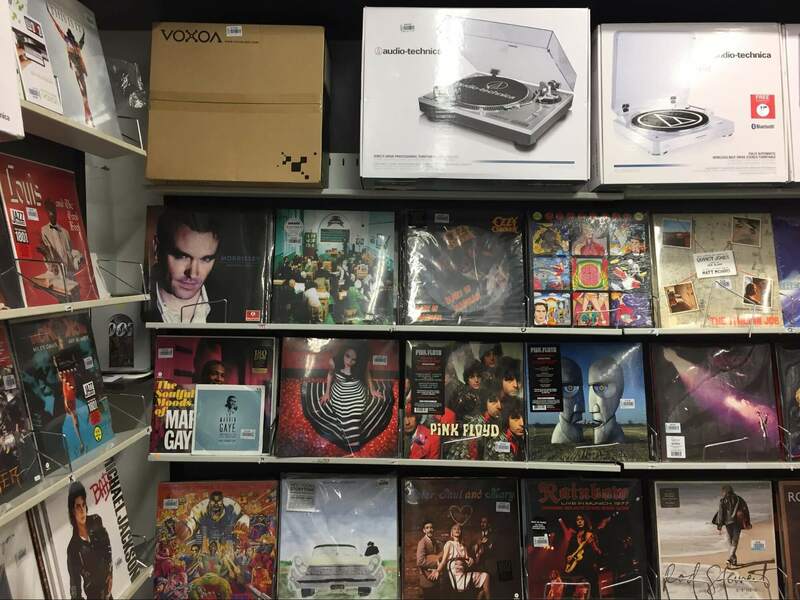 Turntables start from $180 and most LPs range from $39 to $79. 2. Clearly someone is a Stranger Things fan. 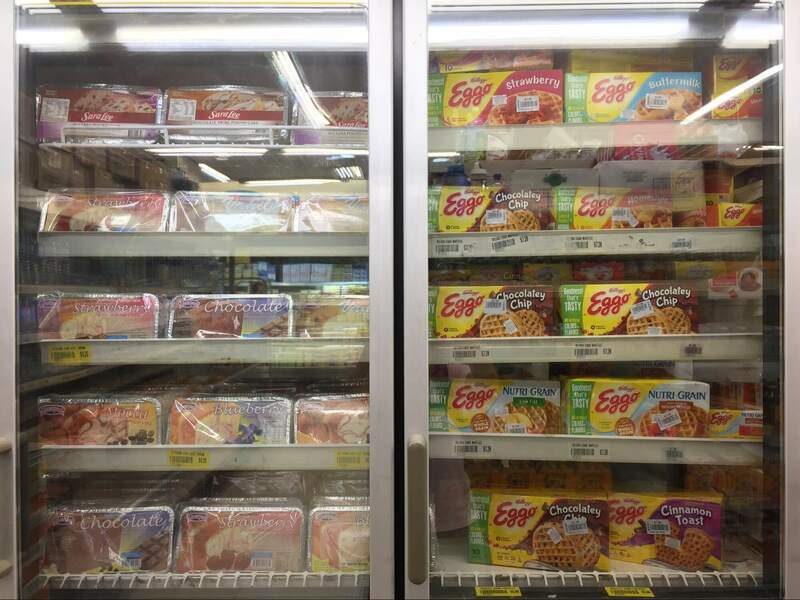 Behold this glorious fridge full of knockoff Sara Lee pound cake ($4.35) and Eggo waffles ($7.20). 3. 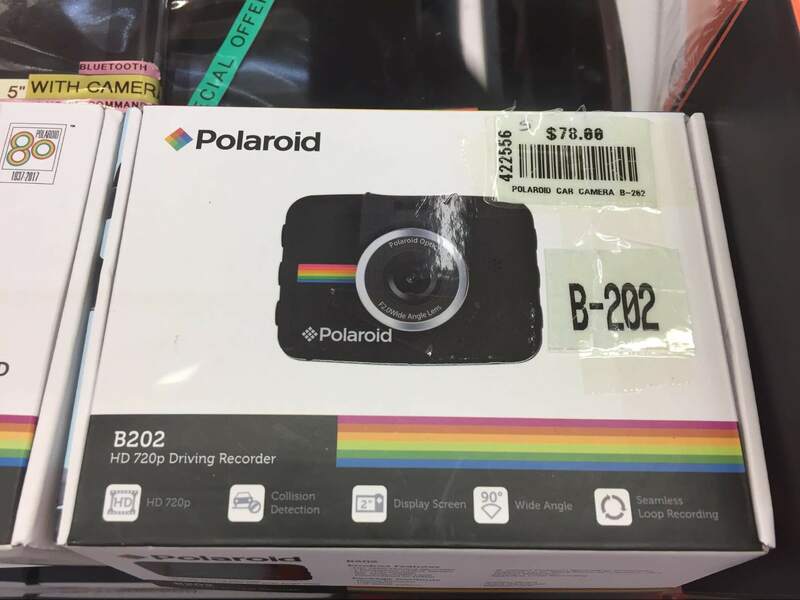 This is a parallel universe where Polaroid still exists. I doubt it’d spit out actual Polaroids of your annoying neighbour who cannot park his Audi to save his life. But still. Isn’t this the most hipster in-car camera you’ve ever seen? At $78, it’s even cheaper here than online. The same item is retailing on Lazada for $112. 4. If you’re driving with a Polaroid dash cam, you’d better wear some Ray-Bans too. 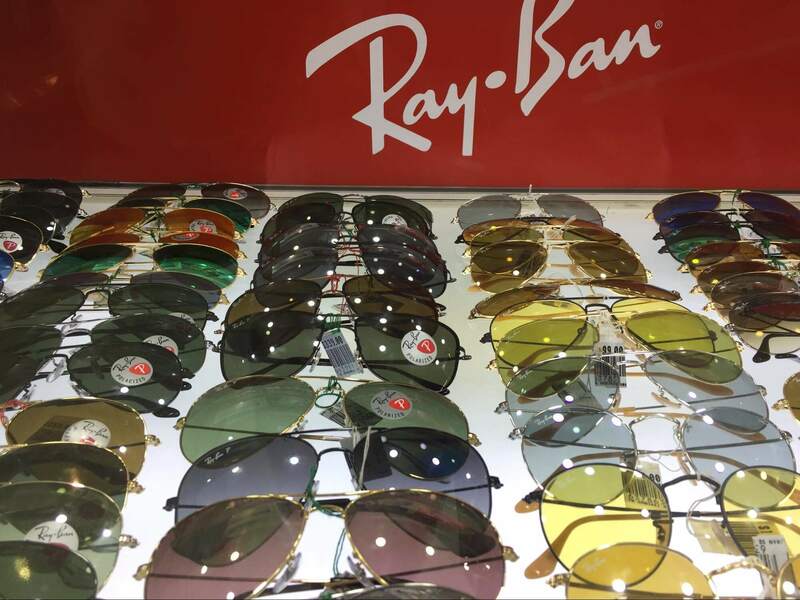 Original Ray-Bans, from $99. Not bad. A quick look online shows prices starting at $200, though prices vary with different styles of course. 5. Mustafa is so rock & roll that it plays music through amps. 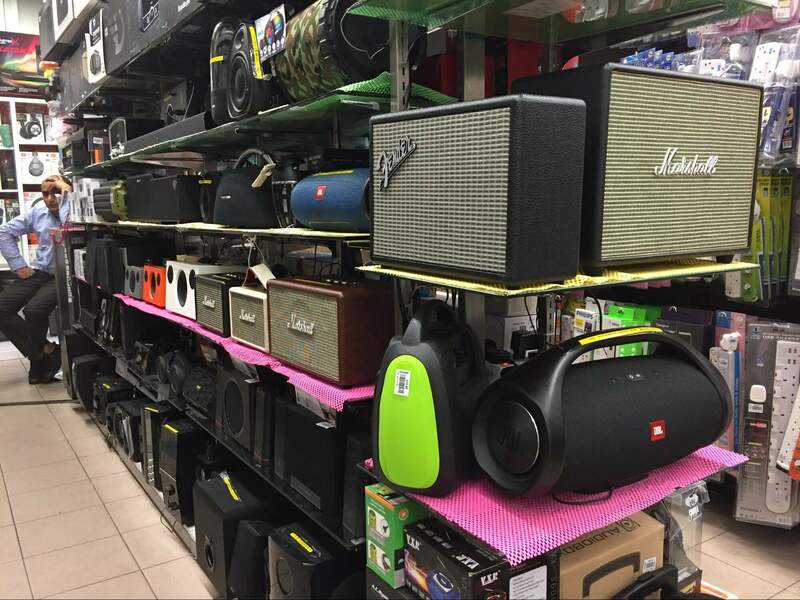 In Mustafa, they blast Bollywood music out of these very cool Fender, Marshall and JBL speakers, from $339. They’re not real amps but they do have that same aesthetic. Makes your minimalist sound bar look like crap, doesn’t it? 6. Mustafa is for the discerning gentleman. 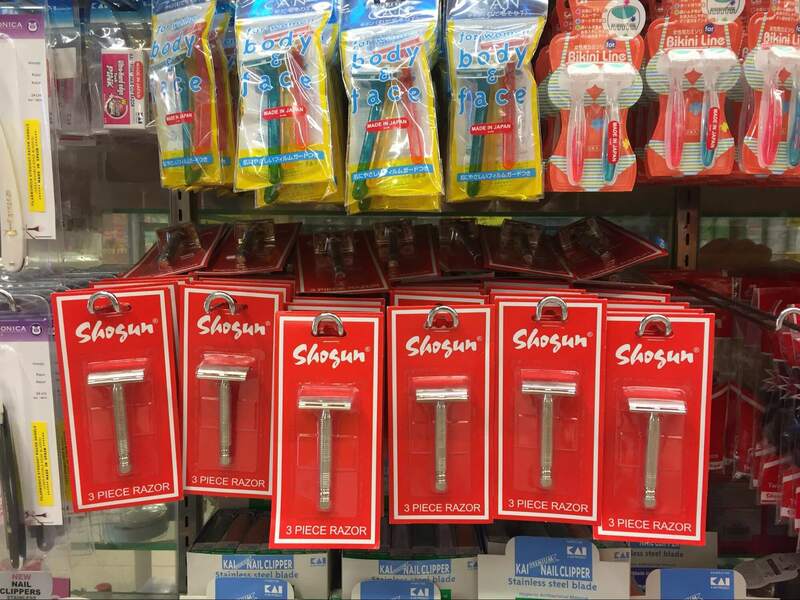 Further proof that Mustafa is painfully hip – you can find Japan-made stainless steel safety razors here. You know, the old school type that hipster barber shops use. Men’s grooming store SGPomades sells them for $40 but you can get one at Mustafa for the princely sum of $2.60. 7. Mustafa had neon signs before neon signs were cool. Practically every hipster establishment has neon signs with inane sayings like “But First, Coffee” and “TGIF” as Instagram bait these days. But I dare say Mustafa was way ahead of its time. 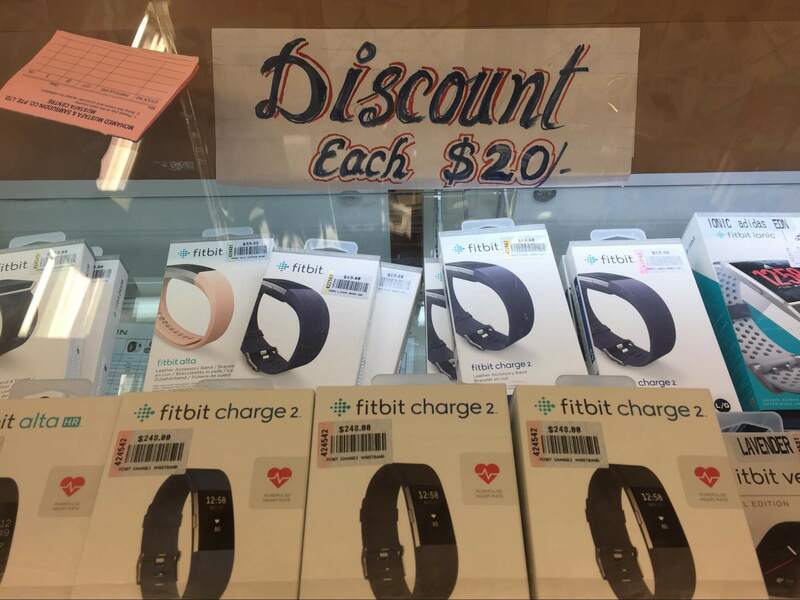 I bet whoever drew this “Discount Each $20” sign didn’t attend a single calligraphy workshop. Some things are just innate. 9. Mustafa is the Whole Foods of Singapore. 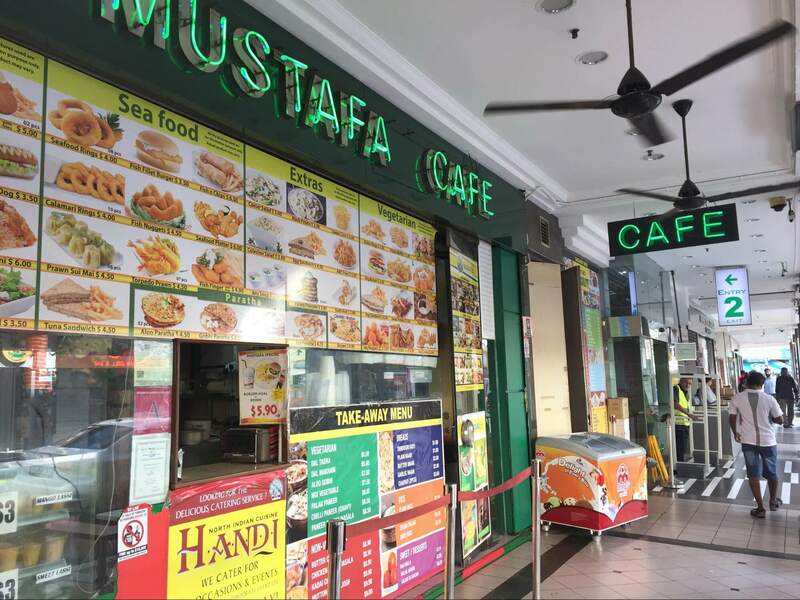 Take me to this Mustafa place already! Where is it? Directions: The nearest MRT station is Farrer Park (purple line). From Exit G, walk against the direction of traffic along Serangoon Road until you see Syed Alwi Road. Turn left into Syed Alwi Road and Mustafa is just ahead. It’s about a 5-minute walk; longer if there are crowds. Best times to visit: Weekday mornings before 11am, and nights after 10pm are the quietest. Store directory/map: None in-store. Refer to this map of Mustafa instead; it’s an absolute work of art.